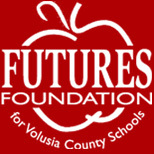 A COPY OF THE OFFICIAL REGISTRATION AND FINANCIAL INFORMATION MAY BE OBTAINED FROM THE DIVISION OF CONSUMER SERVICES BY CALLING TOLL-FREE 1-800-HELP-FLA OR ONLINE AT www.FloridaConsumerHelp.com, REGISTRATION DOES NOT IMPLY ENDORSEMENT, APPROVAL, OR RECOMMENDATION BY THE STATE. REGISTRATION #: CH10078. 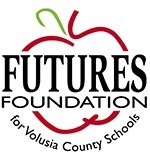 All Club Members may utilize the FUTURES logo on their website to indicate their support of FUTURES.